Stories is already seeing more users than Snapchat. You have to feel for Snapchat. Not only are its best features constantly ripped off by the competition, but they’re sometimes even more popular on rival platforms. Take Stories, for example. Less than a year after being copied, the feature is already more popular on Instagram than the entire Snapchat service. Stories has been a staple of Snapchat since October 2013, and after becoming incredibly popular, it was ripped off by Instagram last August. In an interview with CNBC, Facebook global sales head Carolyn Everson revealed the feature now attracts 250 million daily active users. In comparison, Snapchat confirmed in May that its service now sees over 166 million users on a daily basis. Instagram’s figure certainly sounds impressive — especially as it was reached in under a year — but it’s significantly less than half the 700 million users Instagram now boasts worldwide. That means there’s still plenty of users who are yet to get into sharing their stories. A third of the most-viewed Instagram Stories so far have come from companies, Everson added, while over 1 million have come from advertisers. This makes Instagram an even more lucrative platform for Facebook, which acquired the photo-sharing platform for $1 billion in 2012. 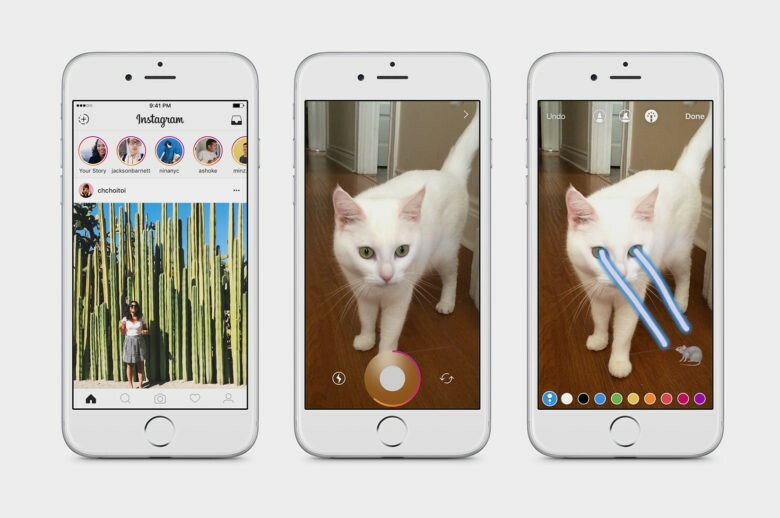 Instagram won’t admit that it ripped off Stories from Snapchat, but it has no doubt that others will do the same. “You are going to see Stories in a lot of different platforms,” Everson said.